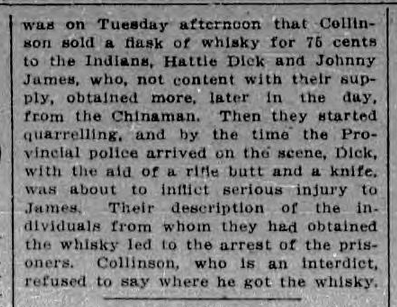 #dailycolonist1915 - The news out of Victoria, British Columbia, 100 years ago. I've been busy with some other projects so while I try to keep things under a week at a time, this update covers 10 days. In general the war in Europe is unchanged on both fronts. 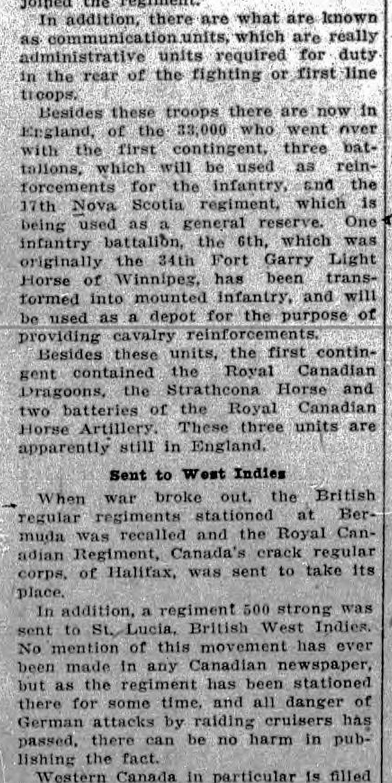 The first Canadian contingent is in combat and there are stories from the front. 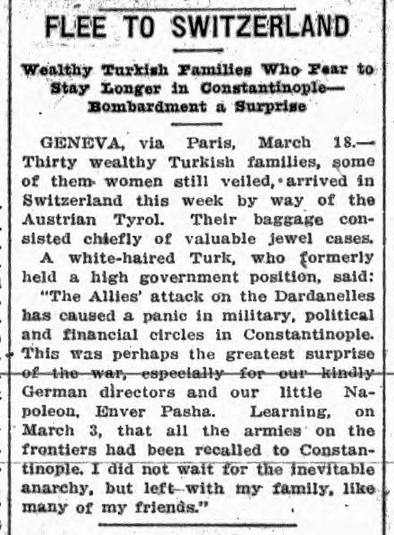 A combined Anglo-French fleet is making its way up the Dardanelles toward Constantinople (Istanbul). The Mexican civil war is still going without any big news. 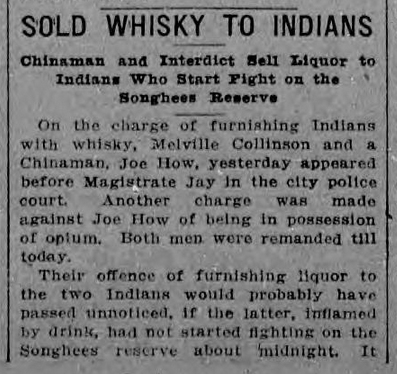 One article this week is particularly interesting from today's context: a story on an "Armed Secret Society of Foreigners" operating in Ontario. [A propaganda 1-2 punch.] 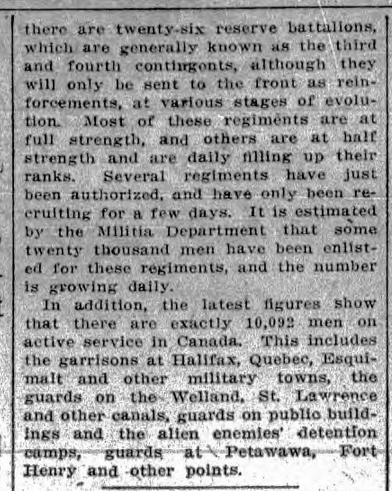 On Tuesday there is a story about General Sir William Otter, registrar of aliens, inspecting Canadian detention camps and finding the conditions satisfactory and "that the prisoners had no fault to find with the treatment that was being given them." This is followed on Wednesday with a story with the headline "Vile Treatment for Prisoners" on the conditions in German prison camps. 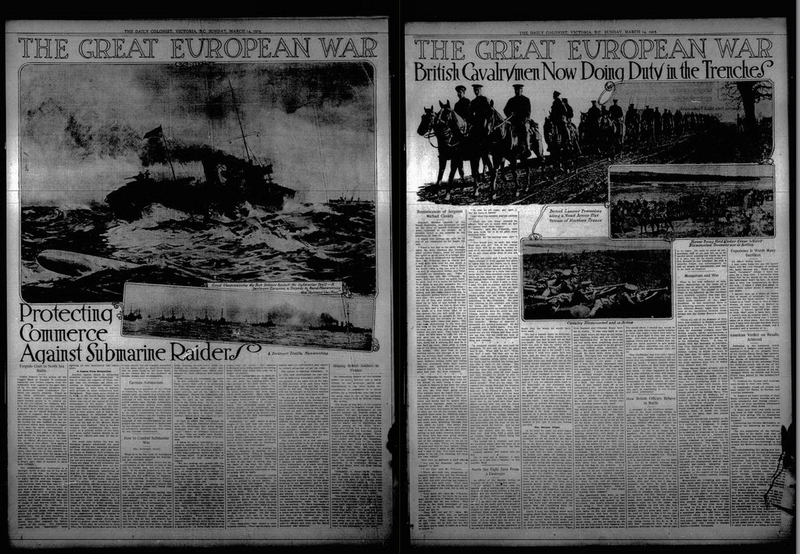 A first hand account of Canadian front-line troops taking a German trench. Canadian are troops suffering from an lack of tobacco. Complaints are that the British government is providing 70 to 100 cigarettes a week to troops from Britain, while Canadian troops have only received 20 cigarettes since being deployed to active service. One soldier writes, "It is possible that we are not entitled to anything from the Imperial Government or from the British newspapers, but the Canadian Government has evidently not provided for us in this way." 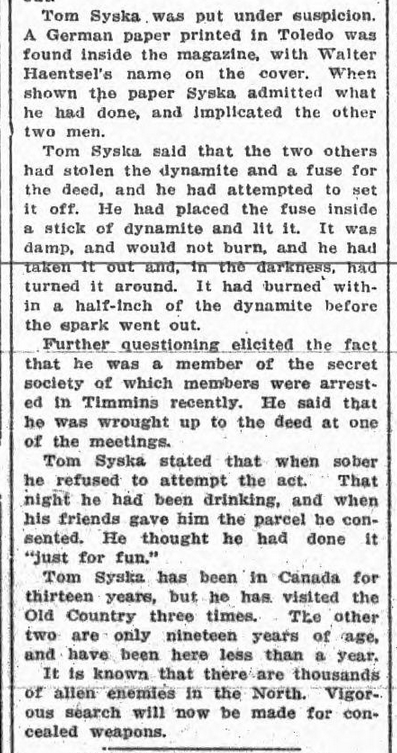 [The most interesting story from this batch, in the context of Bill C-51] "Conspiracy of Alien Enemies": a group of ethnic Germans from Poland attempted to blow up a powder magazine in Cobalt, ON. 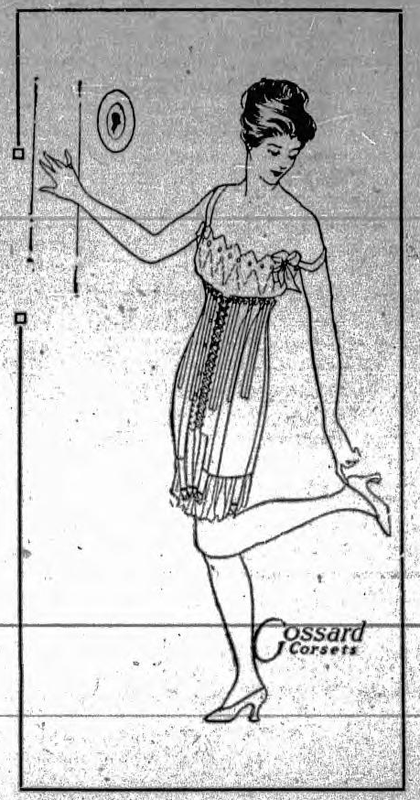 The attempt is foiled by a damp fuse. "Further questioning" reveals a link to a "secret society". The article ends with the ominous statement, "It is known that there are thousands of alien enemies in the North." 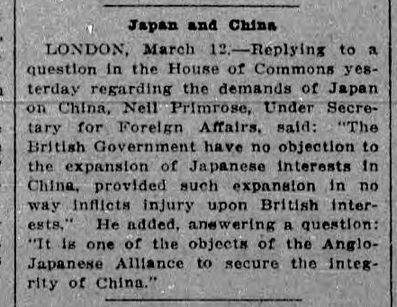 A small article on the British Government having "no objection to the expansion of Japanese interests in China", with implications that Japanese imperialism in China is being encouraged as advantageous to the British Empire. 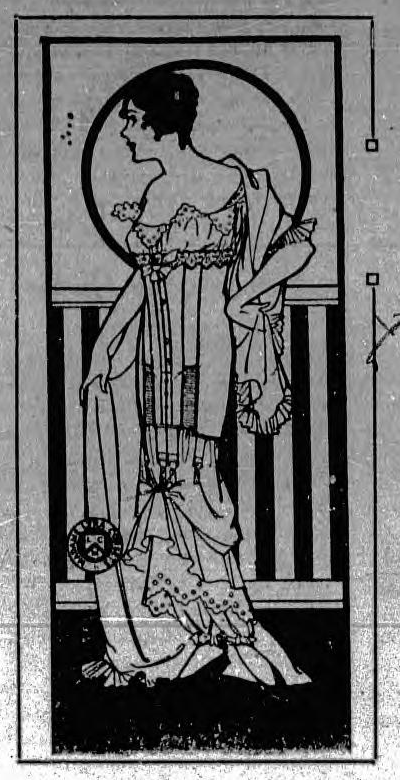 A couple of lovely illustrations from a corsetry ad. 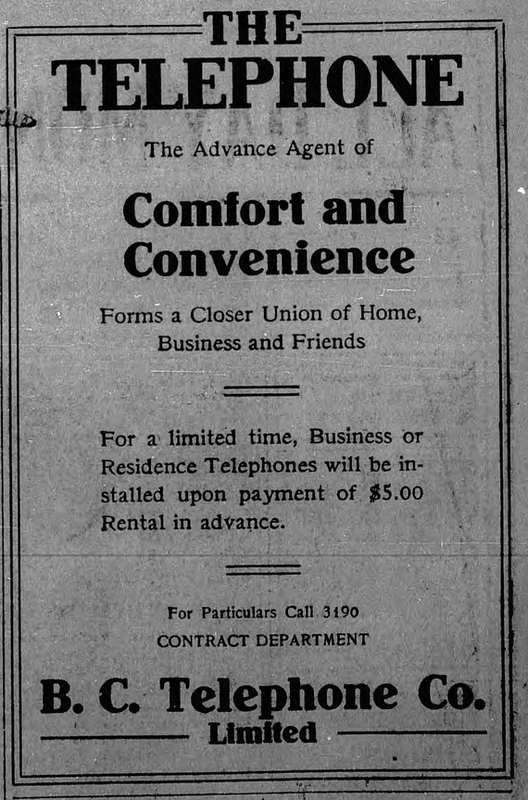 On the editorial page, a notice that the Colonist has started a tobacco fund for Canadian troops at the front, and is accepting donations of tobacco products and cash. For every 25¢ donated the paper will contribute 65¢ worth of smoking material in packets consisting of, "Quarter-pound smoking mixture, Fifty cigarettes, One box of matches." Someone that the police are calling a mentally disturbed "crank" has been spreading tacks on various roadways in Victoria to damage the tires of motor vehicles. 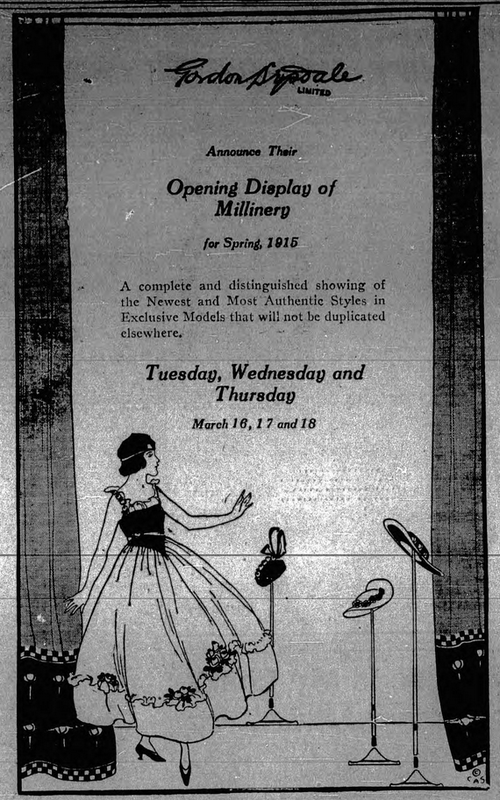 An ad for a spring hat sale. 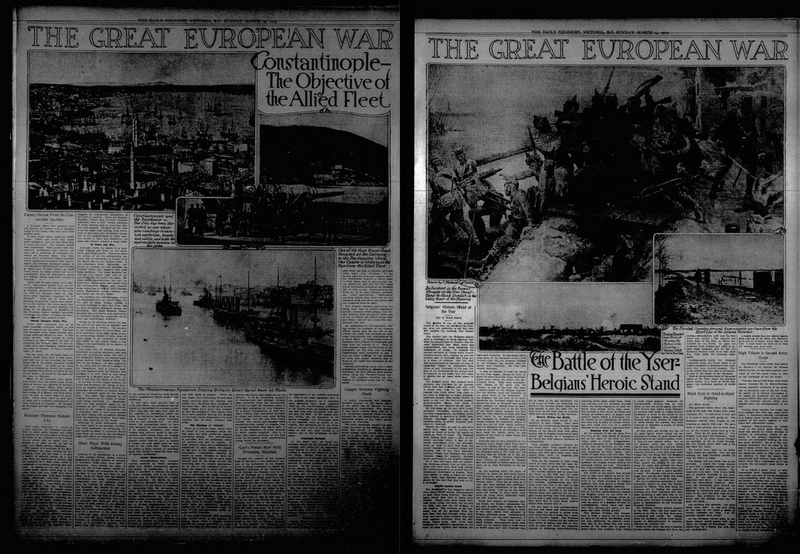 Another 4-page spread on "The Great European War" with the first page devoted to the naval push to Constantinople [Istanbul]. 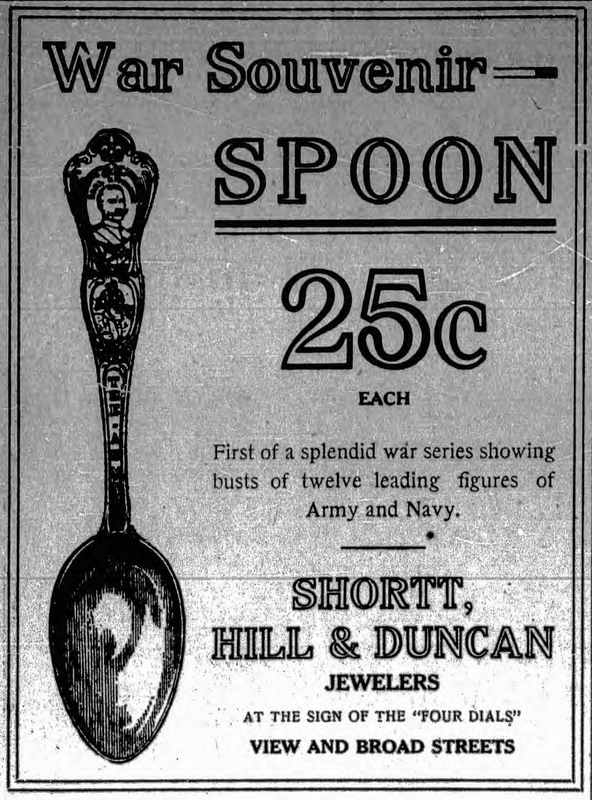 An ad for a series of 12 war souvenir spoons for 25¢ each [this same ad will run for the next three days in the same spot, and while vaguely absurd to my modern eyes, I have to wonder what these spoons are worth now to people that still collect such things]. A paper titled, "The Influence of Astronomy on Our Language and Literature" was read at a meeting of the Royal Astronomical Society last night. The road to service the new observatory on Little Saanich Mountain is reported to be proceeding well. 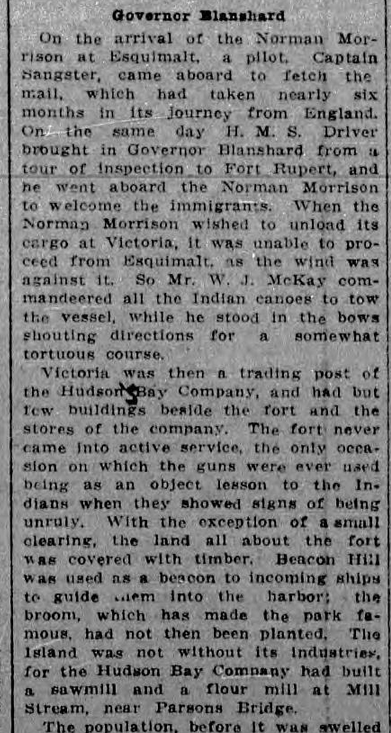 A story on the 65th anniversary of the arrival of the first ship of permanent settlers to Victoria, at the time only a Hudson's Bay trading fort. 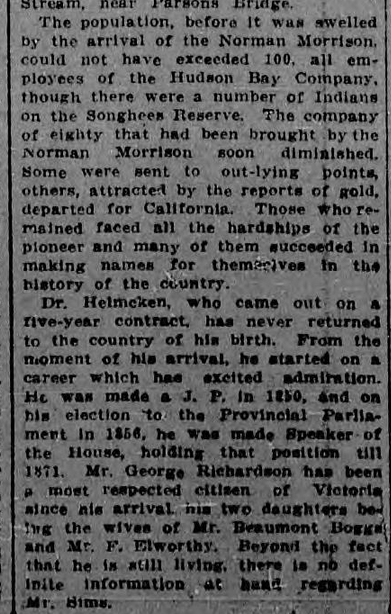 Three of the people who arrived on the ship are still alive, including the ship's doctor, Dr. J. S. Helmcken [as in Helmcken Street in Vancouver]. 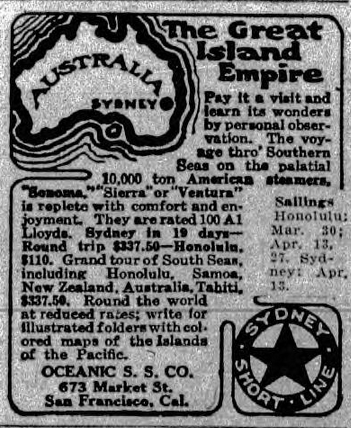 A silly bit of trivia in the article notes that canned condensed milk brought on the ship proved to be a disappointment when opened as the ship's motion had churned it into butter. 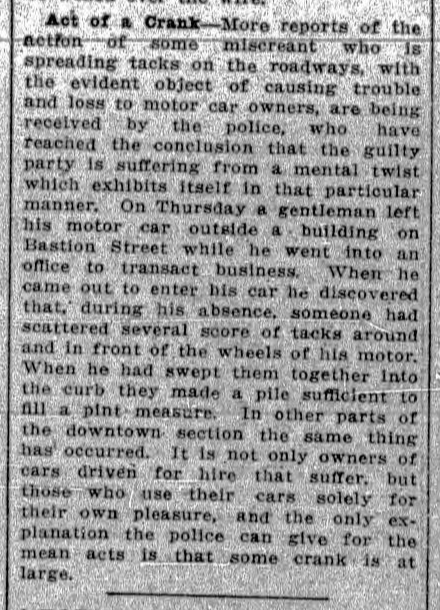 [Beating Uber to the punch by 100 years] B.C. Electric [the predecessor company to B.C. Hydro and Translink that runs the trolleys in Vancouver and Victoria] reports that trolley revenues are down due to individuals that are offering rides in private motor cars at standard trolley rates while operating outside the stringent safety and comfort regulations the railway company must adhere to. 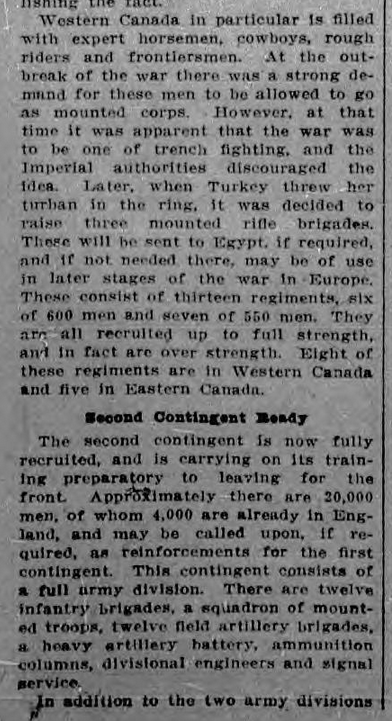 The lead story, "Canada's Part in Great War" notes that Canada's military has 95,000 men in active service [from a total population of about 7.8 million. In comparison, in 2015 there are about 75,000 soldiers in the Canadian military, including the reserves, from a population of about 35 million].